CERF+ > Get Ready > Insurance Hub > Business Insurance: Can You Afford to Be Without It? Business Insurance: Can You Afford to Be Without It? While there may be no way to prevent an emergency from taking a toll on your business, damage can be minimized with appropriate business insurance. Your homeowners insurance is not likely to cover your business activities. Many craft artists have considered business insurance but have dismissed it as either an unaffordable or a frivolous expense. But as Christina and Michael Adcock, owners of Leaves of Grass in Santa Barbara, California, can attest, it is not. 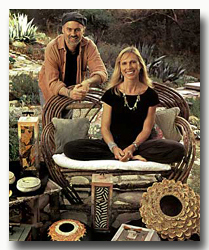 In 2002, they lost all of their equipment, materials, tools and inventory in a fire that consumed their studio. They were unable to work for the three months it took for their studio to be rebuilt. Fortunately, they were covered by insurance. “As craftspeople, we tend to have limited financial resources,” Christina relates. “When paying monthly bills, I used to resent all the money we paid for insurance. I now understand the importance of the precaution. Without insurance, I am fairly certain our small business could not have sustained a loss like this” I looked up our business insurance expenditures prior to the fire and was surprised to see that we had spent a little over $300 for the insurance that saved our business.” Their losses totaled over $65,000. If you already have business insurance, we hope that this article will help you assess that coverage. If you still need to look for coverage, be assured that most agents and brokers are working in your best interest and will provide you with honest service and reliable representation, fair prices and reasonable responses to claims. That’s more than half the battle. Risk management is critical to running your business safely and responsibly. It involves lessening your exposure to risk by putting in place safety precautions particular to your business while securing protection against catastrophe through adequate insurance coverage. It’s taking the offensive rather than wishing you had put something in place after the disaster strikes. We all have a strong desire to preserve what we have. If you want to protect your studio equipment and materials as well as your ability to earn an income, you need to have a risk management plan and business owner’s policy in place. To get started on your risk management plan, list everything of value that your business could not survive without and that you could not replace out-of-pocket if a disabling event took place. For insurance purposes, documenting your assets through photos, digital images and/or receipts will be necessary. Next, make a list of the perils that pose a real threat to you and your business, like fire, falling trees damaging property, theft, important papers destroyed, or work damaged en route to an exhibition. With this information, you are ready to talk to an insurance representative and put the final piece, insurance protection, in place. What should a business owner’s policy (BOP) cover? There is specific coverage if your work is en route to a show. There are special policies designed specifically for the studio artist working in a particular medium. Building – Covers the physical structure of your studio. Business Personal Property – Covers the contents of your studio such as tools, equipment, raw materials, inventory in progress, finished products, valuable papers and records, electronic data processing. Business Interruption – Covers the loss of business income incurred during the period of time your studio is closed due to an emergency. Inland Marine – Covers your work while in transit to shows or elsewhere. This can cover your work, booth, shelves, display cases, and so on. Personal Property of Others – Coverage for those who work on other people’s property in their own studio. Liability – Liability insurance protects you if someone is injured while on your property or if your property causes damage to others. Umbrella – Protects beyond liability coverage, kicks in when all other liability coverage is exhausted, usually in increments of $1 million. 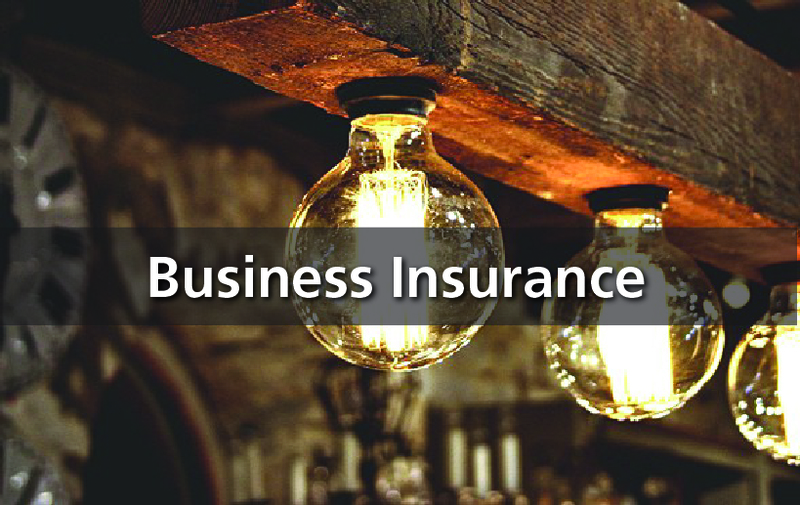 Basic business insurance policies cover risks to property like fire, lightning, explosion, windstorm or hail, smoke, riot, theft, water damage, vandalism, weight of snow, and so on. It may be called “all-risk” coverage, but will most likely have exclusions. Often times flood, earthquake and acts of terrorism are not covered in a standard insurance package so if you feel at risk for these, you may want to investigate additional coverage. Understand what the exclusions in your policy are. Also know the amount or limit of coverage (e.g., up to $25,000 for studio contents, $25,000 for work off-premise, in-transit, etc.) and make sure you get as much protection as you need. Extended Business Income – Extends payment for losses of business income beyond Business Interruption coverage time limits. Extra Expense – Pays for re-location of your studio, if necessary, due to a significant loss. Employee Dishonesty – Covers losses due to dishonest acts of employees. Product Liability – Covers you in the event your product injures someone. The cost of business insurance is not prohibitive; however, replacing your studio and not being able to work are. CERF+ has seen too many businesses unable to bounce back after an uninsured emergency. Remind yourself that having good coverage is one of the costs of doing business and part of your responsibility to yourself, your business and others who depend on you. The rates for coverage will vary depending on where you live and which underwriter you work with, but an average basic BOP will cost between $400-$1,000 annually. Of course, every business is unique and yours may require special coverage, which can raise the overall cost. Proper protection – Don’t be under-insured. If you can’t afford complete coverage, purchasing some insurance is better than having none. Do avoid unnecessary coverage. If you rent – Too often we hear from craft artists who didn’t have business insurance because they thought they’d be covered under their landlord’s policy. WRONG! The landlord’s building is covered under his/her policy, but not your equipment, tools and inventory. Gaps in coverage – Make sure you understand the scope of your coverage. If there are known gaps due to cost, understand what they are and make an alternate plan. High deductibles – Be careful not to be tempted into purchasing a policy with a high deductible in an attempt to keep costs low. Can you really afford to pay a $10,000 deductible if something occurs? Exclusions – Know what they are and don’t be afraid to ask questions! Quotes – Shop around and get at least three quotes; rates vary widely. Quality – Tell your insurance representative that you are interested only in products of high quality. Claims – Ask your insurance representative if any claims have been made on the type of insurance they’re offering and what turn-around time you would expect in the event of a claim. If no claims have been made or you feel service is unreasonable, choose a different company with which to work. Finding a good agent or broker should be relatively easy if you ask friends and/or colleagues whom they use. Make sure to choose a representative you feel comfortable working with, someone who is communicative and responsive to your needs. You may decide to work with an agent who represents a specific company or companies, or go with a broker who independently and directly represents you to the marketplace. Brokers may offer a broader range of coverage options because they represent you and not the insurance company, but either choice is fine. Just be sure your representative understands your insurance needs and helps you to design a package that provides the coverage appropriate to your situation. It’s okay to be wary of insurance salespeople. A healthy dose of skepticism means you’ll use good judgment when making your decision about who to work with and what coverage you’re going to choose. 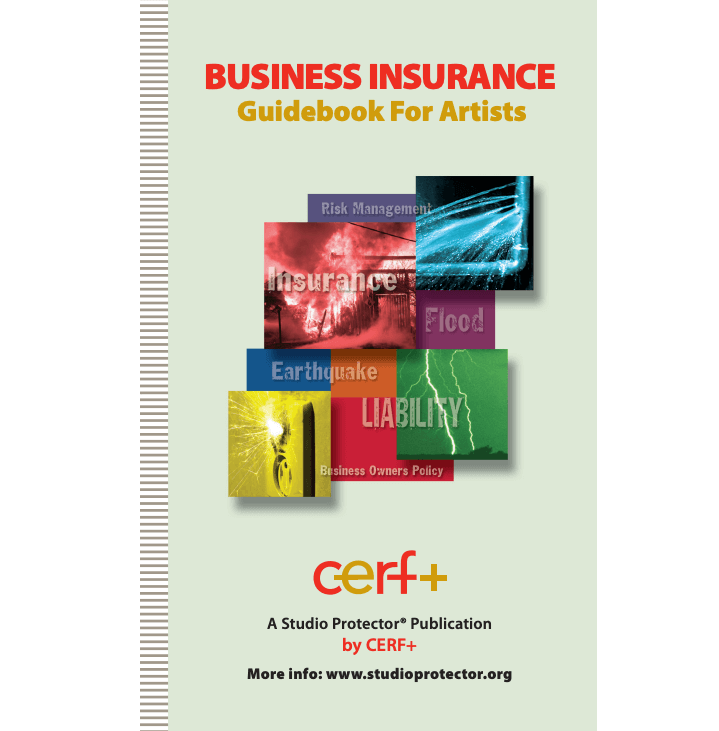 The following resources are provided by CERF+ as a service to craft artists in search of additional information on business insurance coverage specific to their unique needs.